We love getting emails like this from guests at ElkView! “Thank you so much for the opportunity to stay at your beautiful home. Everything worked out great. The layout of the house was perfect for such a large group and the kitchen was fabulous. So well stocked and the center island is a great gathering spot for the well laid out great room. Everything went perfectly and we couldn’t think of anything that was lacking there. Plenty of everything: bathrooms, towels, space, comfy beds. The game room was such a great hangout for the children. Unfortunately it was windy and we even had rain so we didn’t get to spend much time outside enjoying the new patio dining set but the BBQ worked beautifully. We will definitely try to stay at your house again. On the last day, we all talked about when we could come back again. Personally I loved everything about your home and the decorating is so attractive and elegant, yet comfortable and practical. 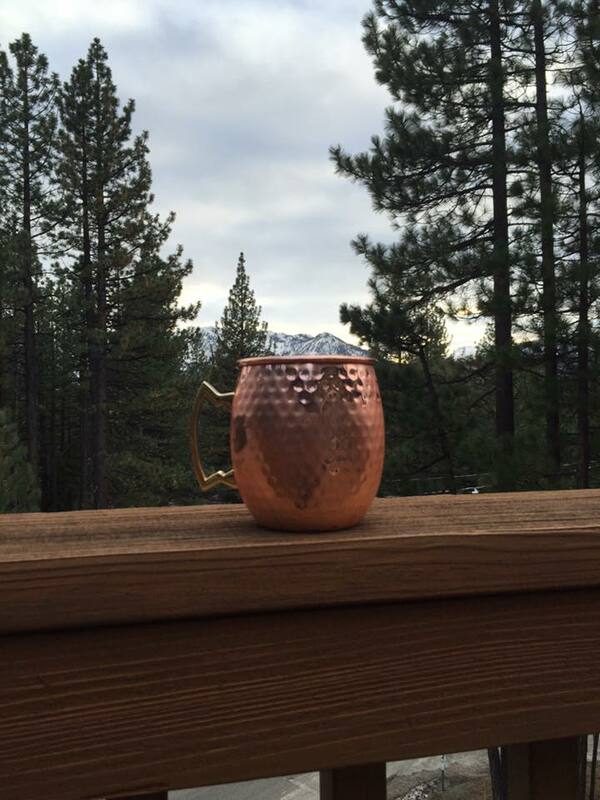 We can’t think of a better spot to enjoy an early Spring Moscow Mule than on the deck at ElkView at Tahoe! Learn more, read reviews and book the time of your life on our rental page! We put a lot of effort into making ElkView one of the best places to spend time in South Lake Tahoe with family and friends. One of the best rewards is getting great reviews about ElkView as well as the customer service that we provide. My wife, Renee runs a tight ship and is incredibly fast at responding to inquiries and questions. We have a great property management staff that is very speedy when folks need help and we love sharing ElkView with people that appreciate the special place that it is. “Our stay at Elk View as awesome! Renee has been fantastic from the beggining to explain the procedures for our accomodations and answered all questions we had promptly. Once we got there, everything was perfect, clean and beautiful. We had enough space for our kids to play and the game room downstairs was a hit! Espicially the arcarde games. There was a nice Hot tub as well for us to enjoy and lots of area to play in the snow and build a snowman. There accomodated us with some cereal, popcorn and cookies. There was also a large bag of ice for us as well and a pantry of items to use and cook with. There was a lot of seating as well to accomodate all of us to eating. Overall I would recommend this house to anyone looking to relax and enjoy the snow!” – Julie T.
There are 25 more reviews just like this one, all with 5-stars and lots of happiness. Check them all out here. Here’s some recent reviews of our 5-star rated Tahoe vacation home, Elk View at Tahoe. We love getting reviews, not only do the good ones make us feel great, the constructive feedback helps us to improve Elk View. My family and I go to south Lake Tahoe every year for the past 4 years (a new tradition I’m starting) and this was by far the best house yet! From the heated floors to the 70″ TV… To the well stocked kitchen supplies … To the game room, we enjoyed everything! If you stay here you will not be disappointed! Recommended for: Girls Getaway, Families with Teenagers. Our stay at the Elk View house was amazing! My group (14 people) loved their rooms and the cleanliness of everything. Beautiful open space kitchen with brand new appliances, lots of hang out space, and an awesome hot tub. Renee was also amazing. She answered all my questions and responded to my emails within an hour. Thanks for everything Renee! This was our annual get-together of nursing school friends and spouses. The house was a perfect set-up for a wonderful reunion/get-away for our group of 12. The house was very spacious and clean. The kitchen was stocked with everything needed for our husbands to make us a wonderful breakfast each morning! The scenery was beautiful outside our deck. We were able to take an early morning hike each day on the trails behind the house. The location was handy to do some site seeing of the mountains and lake, shopping, groceries and casinos. We would recommend this house to anyone! Updated Elk View at Tahoe photos! Come visit Elk View at Tahoe! 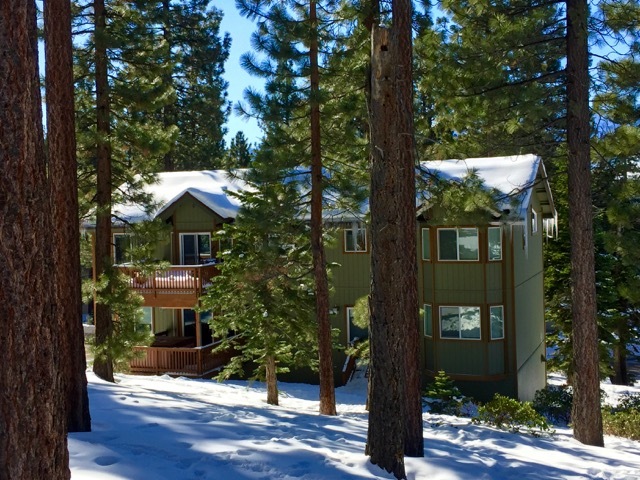 We love getting reviews, comments and feedback from folks that stay at Elk View at Tahoe – the awesome 6-bedroom home in South Lake Tahoe. Here’s some recent comments that share our view of Elk View and what a great place it is to share and create memories with family and friends. “Our stay at the Elk View house was amazing! My group (14 people) loved their rooms and the cleanliness of everything. Beautiful open space kitchen with brand new appliances, lots of hang out space, and an awesome hot tub. Renee was also amazing. She answered all my questions and responded to my emails within an hour. Thanks for everything Renee!” – Cathy V.
“Everything about the place was amazing. All the rooms were nice, the house was very spacious and clean. The multiple porches were all so amazing. There were no hitches or problems during the stay. The location is great too, close to the lake and the casinos. We couldn’t have asked for the place and the trip to be any better.” – Mike T.
“We thoroughly enjoyed our stay. The house came equipped with everything we could possibly need. It was spacious and cozy, allowing for comfortable game nights and family meals. We definitely created some lifelong memories there and hope to visit again soon! :-)” – Mike B. Create your own awesome trip to Elk View today. 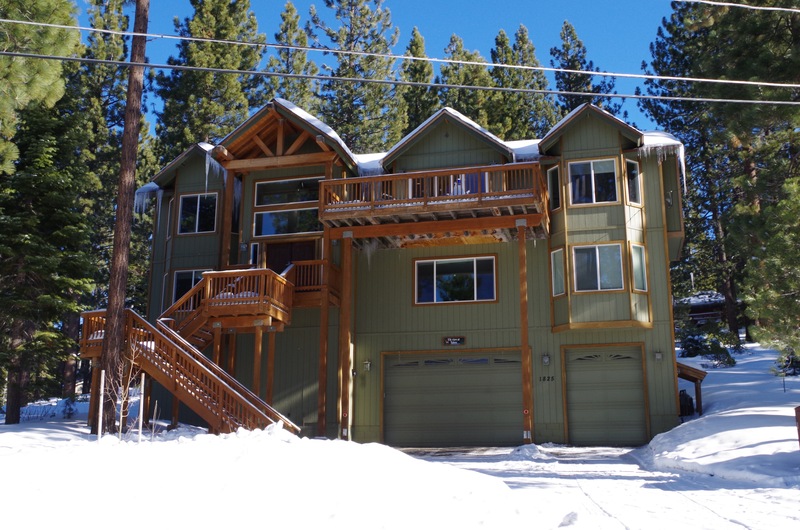 Ready to book your awesome trip to ElkView at Tahoe? Click on over to VRBO to make it happen!